I remembered trying mochi a few years ago and being unimpressed by the chewy texture of it. It wasn’t mochi ice cream, just plain mochi, but I assumed if I didn’t like regular mochi I probably wouldn’t like mochi ice cream either. 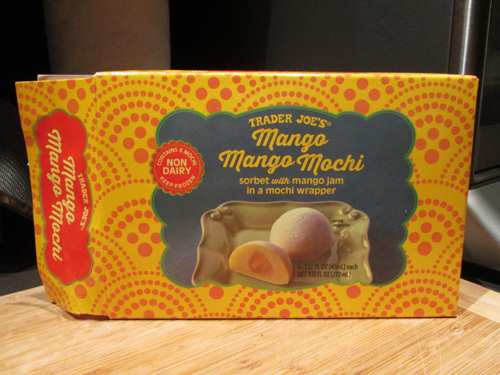 However, my on a shopping trip to Trader Joe’s over the summer, my boyfriend saw the mochi ice cream in the frozen section and picked some up. He convinced me to try it, so I figured I’d give it another shot, and I’m so glad I did! 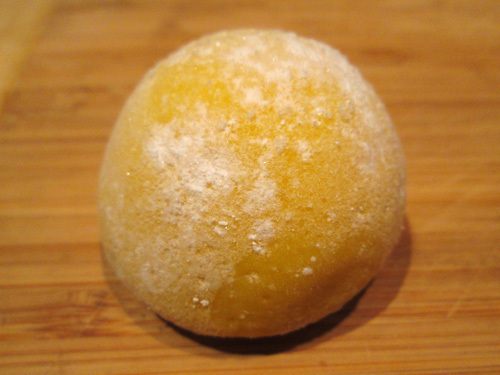 I’m now a mochi ice cream convert! I’m actually lactose intolerant, so I usually have to eat lactaid pills with dairy, but these particular mochis are dairy free, which works great for me! Not only that, but they taste awesome. They’re packed with mango-y flavor, and I think there might actually be a few tiny pieces of mango I found in there. The extra mango center in these also adds to the flavor. 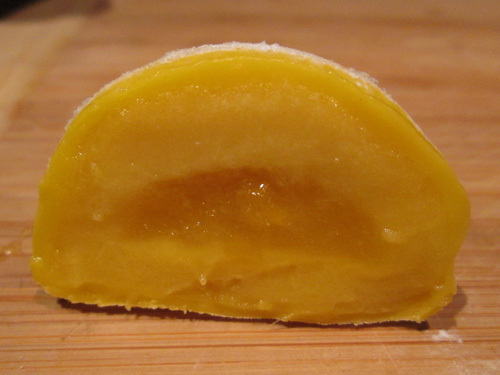 There’s actually another mango mochi that Trader Joe’s sells, but I think these are better personally. TIP: I usually let them sit on the counter for 5 or so minutes to let the mochi wrapping soften a little bit.